Who has a low GPA score? Well, technically, I don’t know because I graduated from Sydney University (Australia). But it’s certainly average at best. Believe it or not, I’m proud of not being the smartest or the best. It makes it easy for people to relate to me. It also shows that any ordinary fella can become a value investor, write a blog, and pick good stocks with a little common sense. I graduated with a degree in Telecommunications that I didn’t excel at or particularly enjoy. It was just a choice to study something where I could get a comfy and safe professional career. Engineering and telecommunications is a very “safe” job. But ever since I got into value investing, something clicked. For starters, it’s a good thing I’m so stubborn about certain things. Because after being told over and over again that I didn’t have the training or the smarts to be able to do what the pros on Wall Street do, I dove in to prove everyone wrong. Old School Value is a joy to write for and grow, but there’s a small part of me that feels like I’m missing something. Is it because I haven’t surrounded myself with a true network of value investors? Or maybe I want a taste of Wall Street? Or the chance to have worked at a respectable value firm before running old school value? I bring this up because reading Guy Spier’s book, The Education of a Value Investor, really made me think about my own journey and investing process today. I don’t have the Ivy League status or Wall Street experience, so it’s a great way for someone like me to read the account of someone who does. The book doesn’t have much to do with how to value stocks or a step by step guide to pick winning stocks. If you want one of the best value investing educations, Prof Aswath Damodaran’s blog, books and lecture materials are one of the best to learn from. But what Guy offers is something that schools can’t and won’t teach you. After all, you can’t create a course based on subjective experience. Probably why you’ve never attended a course where the lecturer spoke for 8 weeks on his experiences. Yet experience and the wisdom to tell it properly is highly sought after and very rare. Look at the Berkshire annual meetings. I haven’t been to one, but when I read the transcripts or news, it’s filled with personality, experience and wisdom. And it’s personal stories like these that help you to evolve into a better investor. I’d bet that most value investors were directly influenced by Graham, Buffett, Munger and other greats one way or another. Technical education is something that most people already know, but once they encounter a real value investing guru, everything starts to fall into place. When you are investing, there are a ton of things to do. With so much activity that goes on, and wanting to pick stocks that beat the market, it’s easy to lose sight of what you are trying to achieve. Are you just trying to get rich without enjoying the journey? Are you just trying to show how smart you are? What Guy explains through his journey, is how he went from the hustle and bustle of New York, to mimicking Buffett to creating his own nirvana in Switzerland. When you consider his excellent education and background, it’s easy for someone like me to question how he could have made such mistakes along the way. But it goes to show that when it comes to money, everyone makes the same mistake sooner or later. Spier’s went to Oxford and got an MBA at Harvard. I went to Sydney University. Walter Schloss didn’t even go to college. But Mr Market and human psychology is funny. He doesn’t care what education you have because he will fool you one way or another. The important lesson is to gain a deep understanding of behavioral finance, understand the way you tick, and to train yourself so that it doesn’t bring you down. Not everyone is going to be able to take it to the degree that Spier’s did and move half way across the world. 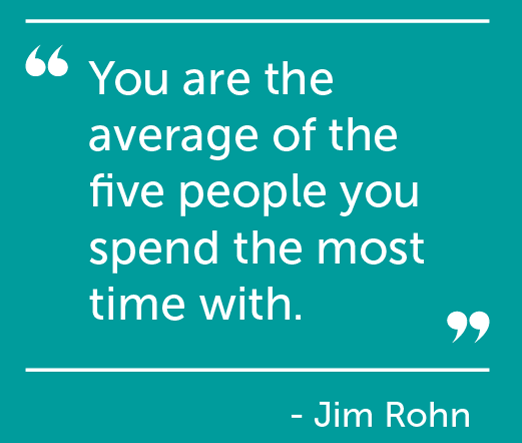 But one of the best points is to surround yourself with the type of people you want to become. Once Spier’s found Buffett, Munger and Monish Pabrai, he just got better and better. There’s a chapter in the book titled “Investing Tools”. But this chapter of the book focuses on building a better investment process and does not recommend a list of the top 10 investing tools (which I was hoping for). Topics like not checking stock prices, not talking to management, who to talk to about investments, some simple rules to prevent you from acting out of emotion, and not talking about your holdings are covered. Read the book for the full discussion. There’s also a full chapter dedicated to checklists. Previously on Twitter, Guy responded with a tweet which resonates his view on checklists. @Jae_Jun Be meticulous about using checklists. Also to accept that mistakes are part of the journey. I also believe that checklists make up a huge part of any process. In a past job, my main responsibility was to check the quality of a product against checklists which literally had over a thousand things to check.. It was brutal going through all of them. The entire checklist took my team 5 full working days to complete. But it was like a fine tooth comb. It caught nearly 99% of all issues that would have been easily overlooked. And the way Spier’s and Pabrai constructed their checklist is mind boggling. No wonder Pabrai never shares it. There’s a huge amount of time and intellectual property that went into it. If you don’t have your own, I’ve got some investing checklists for you that you can start with. The Investment Checklist is also another fantastic book filled with checklists that you can apply right away. As a side note, in case you didn’t realize, I love investing tools if it makes my life easier. I don’t have the luxury of being a full time investor to read all the reports that I want. I need to be agile and selective with what companies I choose to look at. There are too many product in the finance space aimed at scamming away your money. They promise to deliver 1,000% returns and gloat about how easy it is to grow $10k into $1million. That’s why I’m more than happy to recommend my investment analyzer because I really believe it’s a great product that will help the right people. If a doctor discovered a cure for a disease, wouldn’t she go around telling as many people as possible instead of being scared to talk about it? The OSV stock analyzer doesn’t cure a life threatening disease, but it does solve a problem for many people who are investing in today’s busy world. If you work full time and short on time, you need a quick way to understand a company and crunch numbers. It will eliminate guesswork and it’s a powerful tool to use along with a checklist too. You won’t find some secret recipe to become a world class investor, but the book is a captivating read for the normal value investor like me. Despite the different paths taken, it’s very relatable and very real. Guy Spier doesn’t stick his chest out about his track record, what his net worth is and other vain stuff like that. He’s straight up about his mistakes and it feels like he sincerely wants to share it with you so that you don’t make the same mistake. If you have decades of experience in the finance world, know how Wall Street works and manage money already, it will be light reading and not what you are looking for, but for the rest of us, it’s a great read that I found difficult to put down. Now here’s your opportunity to get a hardcover version of the book for free. I’ve received 3 books to giveaway courtesy of the publisher and it’s very easy to enter. Simply enter the giveaway sweepstakes by going to the giveaway page, answer a dead easy question and then enter your email. You’ll get a unique URL which you can then use to share. For every person that uses your link to enter the giveaway, you’ll get another 3 entries. The more you share, the higher your chance of winning. No compensation received for giving away the books. If you use the amazon link to purchase the book, I receive about 90c…..